Miss Posh Life™: Right Now: Furry Friends! Say hello to my furry little friends! They are the newest edition to my Fall shoe collection. 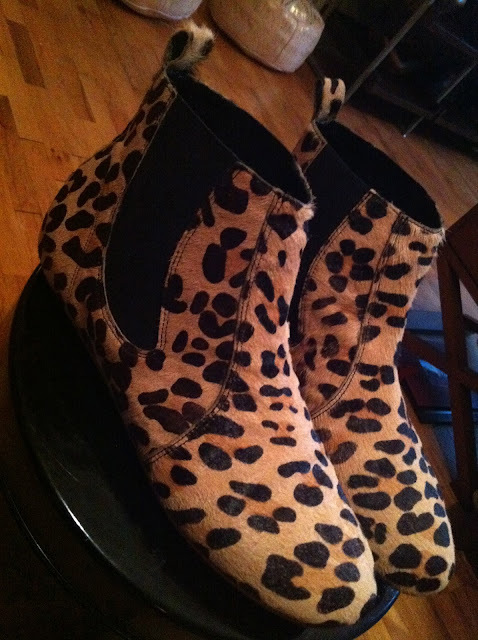 I am very excited that leopard prints are "in" (btw they never go out in my opinion). I can't wait to wear these with black leggings w/tunics, skinny jeans and tailored jackets. You can find something similar here. Stay Posh!